Today in Masonic History Clarendon Lamb Worrell is born in 1853. Clarendon Lamb Worrell is a Canadian minister in the Anglican Church of Canada. Worrell was born in Smith's Falls, Ontario on July 20th, 1853. He would receive his early education at Smith's Falls schools. At the age of 17 he would Trinity College School at Port Hope. In 1873 he would graduate from University of Trinity College with honors. In September of 1873, Worrell would being teaching the Bishop's College School as the mathematics master. He would leave the position after two years for a position at Helmuth College, London, Ontario. He would go on to teach at two other schools before returning to Trinity College for Divinity School in 1878. In 1881, Worrell would be ordained a deacon by the Bishop of Ontario. He would appointed to curate Christ Church in Gananoque, Ontario. He would serve there only a year before moving on to a church in Brockville. He would move around over the next 9 years and be connected with various churches around Ontario. In 1891, Worrell would become rector of a church in Kingston, Ontario. He would also serve as the professor of English Literature at the Royal Military College of Canada. 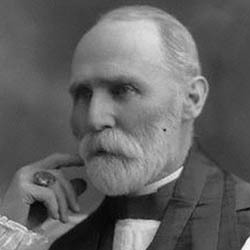 In 1901, Worrell would be appointed the Archdeacon of Ontario. In 1904, Worrell would be elected the Bishop of Nova Scotia. In 1931, Worrell was elected as the Primate of the Anglican Church of Canada by unanimous election. This made him the head of the Anglican Church of Canada. He would hold the position until 1934, when on August 10th of that year he would pass away from a prolonged four week illness. Worrell was a Freemason belonging to a lodge in Gananoque, Ontario where he was the master of the lodge. He would also serve as the Chaplain of the Grand Lodge of Canada in the province of Ontario. Do We Meet Him On the Level?